I don’t know if you came across a piece of news from Kolhapur, Maharashtra, published a few days back in several national dailies. No wonder you might have missed it, it was (purposely) snug in one tight corner of most papers like a hibernating animal, meant to be left untouched. Well, the news was that a twenty-seven-year-old, hungry man, Sunil Kuchakurni, returned to his neighborhood drunk and requested food from a neighbor who refused. Next, he went home and asked for food from his mother. 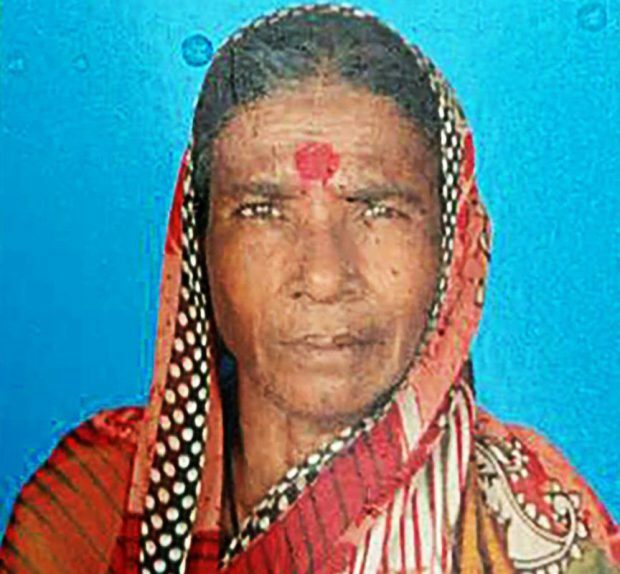 With no food in the house, the mother-son had a fight and Sunil killed her mom. He then opened her chest and ate her heart with chutney and pepper. Yes, with chutney and pepper! Nothing more appalling could have been written or read in recent times. Nothing more gruesome could have been undertaken! Absolutely Nothing! I was stunned for good few minutes after reading the news and it took me a couple of days to sleep without thinking of Sunil Kuchakurni, his mother, her heart and his hunger! Which animal (and I use the word animal on purpose), in the whole animal kingdom would eat its mother’s heart even in a state of total inebriation and hunger? None. Or at least none to the best of my knowledge. We are told that a species called Tiger Salamander, a north American amphibian, can have a larva which can either evolve into a normal adult variety or develop into a cannibal morph larva which can eat its own species, moms included. Research shows that this cannibal form develops in response to unknown environmental stimuli. In Sunil Kuchakurni’s case, we probably know the stimulus which caused the treacherous mutation. The horrifying incident raises many questions for the ‘civil’ society of this country to ponder on. To be ‘civil’ is to be shaken up to the core of your foundations of consciousness by incidents like the one in question. Deciphering the events, it is difficult to ignore any component of the act- the psychosis, alcohol, anger and hunger. Amongst these, it is hunger which stands out like an obnoxious sin (not on his part, but on part of us, the civil society!). For me, hunger could be the single most important tool for such heinous mutations. We know people under alcohol or anger commit most odious of crimes but I have never heard anything of this nature. To be hungry is to be vulnerable. Despite years of rising Sensex and bullish markets, hunger continues to haunt the country like an evil curse. The 2016 Global Hunger Index (GHI) has placed India in the group of 50 countries with an “alarming” Hunger situation. At a GHI of 28.5 we are worse than some of the poorest nations on the planet and rank 97 in this “elite” list of shame which includes a total of 118 countries, a large number of which are known zones of conflict and hence their hunger population can be explained. It is even more painful that all countries of the subcontinent (except Pakistan) rank better than us in the list. A deeper analysis reveals that no doubt hunger mainly affects children, but adults too are vulnerable to hunger in high numbers particularly in ‘hunger endemic’ regions like India where social safety nets are either absent or strikingly dysfunctional. It is important to note that the United Nations declares famine when more than 20% of the population has less than 2100 kilocalories of food per day or/and malnutrition is seen in more than 30% of children and/or there are 2 deaths per 10000 people due to hunger. In India around 30% population has access to less than 2100 kilocalories per day and 44% children under the age of 5 years are underweight thereby qualifying for the criteria for famine. But famines are more political than we think and can only be declared by the government. Thus, the absence of a famine is not its actual absence on the ground but convenient and tacit ignorance of its presence. In the words of doctor-activist, Dr. Binayak Sen, India is in a state of “stable chronic famine” and rightly so. Hunger is known to result in stunting of growth and as per the Global Hunger Report, one in three children in India are stunted due to malnutrition. A total of 38.75% of children under the age of 5 years are stunted due to lack of food in our country. The problem of hunger is best conquered by a determined political will. Governmental apathy is an addendum to the problem and its subsequent ill effects like stunting of growth. The solution lies in actually increasing the calorie intake of the vulnerable population. The means to do so are many but political willingness is the first step in achieving the target to eliminate hunger. Political will to increase calorie intake takes a beating when the contrary is revealed. The 2015-16 data from the Food Corporation of India revealed that 3000 tons of food grains were damaged during storage. To waste food in a country where hunger mutates humans to eat their mothers’ hearts is an even bigger sin! Besides non-availability of adequate food, which is a multifactorial indicator of hunger state, poor accessibility to food also adds to food insecurity in this country. Incidence of poverty directly indicates the extent to which food is accessible and hence with rising levels of poverty, food accessibility is significantly compromised. Poor public distribution system and an absence of social security further complicates the issue in India. Sunil Kuchakurni may be a symbol of utter disgust and hatred for most of us but his hunger is a message for those who occupy seats of power. A mother’s heart is too benevolent, filled with love and compassion for the world. We need to protect their tender hearts. We need to protect the likes of Sunil Kuchakurnis of our country from mutating into the cannibal larvae of Tiger Salamanders. It’s high time the government should realize that a hungry population is more dangerous than the most ferocious of hounds! The ruling elite is turning all of us into dehumanized creatures. Turning society into a criminal and dehumanized lot is the new mantra of rulers. We will kill each other without bothering about the criminal rulers who have led us to this status. This shocking happening reminds me of Premchand’s story KAFAN. How long we will continue re-living it! I agree, sir, the ruling system is dehumanizing entire societies. But, sir, I disagree to the statement: “We will kill each other …” We will not kill each other. We will love each other, and that sense of love will spread out although there are ideologies, medieval and backward, that spread message of hatred, that teach to “hate all but me”, that now-a-days very regularly take “anti”-imperialist appearance while stay far away from scientific analysis, that now-a-days sometimes pays lip service to love, but fails to renounce statements of hatred and supremacy. Lots of different kinds of animals eat their own kind. This pattern is not new. Sunil is not the symbol of disgust and hatred to most of us; because there are and there were so many hungry people, chronically hungry people, perennially hungry people that they would have resorted to the practice long ago in a widespread area or in many pockets, and would have eaten out a lot, not only a mother. One should cite famines this sub-continent went through. What happend? How many persons’ chests were opened, etc.? What happens to laid off workers, to workers of factories locked down for long months, even for years? These workers and their family members permanently live with hunger. What happened during the British raj? All in India know the hunger situation in urban areas, in areas inhabitated by aborigines, and in rural areas. City footpaths “house” many hungry. The hungry roam around luxurious restaurants, around places of feast. How many such incidents have so far happened? Otherwise, not only a person’s heart, but a lot of things would have been opened up, would have been consumed. In this way other issues raised in the article can be found, which is not elaborated here. Probably, there was a mixture of hunger and some sort of psychological problem. To use it as a symbol would be a wrongful way of identifying a system of exploitation. And, why “most of us”? Most of us are not exploiters. Exploiters are a few although a few ideas decline to see the exploiter-exploited question. It would lead to a wrong, simplified interpretation of a system to consider the incident as a symbol. Sorry, Shah Alam sir, sorry Shansul Islam sir, for my disagreement with you; but I understand, and fully agree with your hard feeling to the system that creates hunger, that relies, in comparative term, on hunger. I’m extremely sorry, sir, for my typing error — “Shansul”. I meant Shamsul Islam. There is a lot of undiagnosed mental illness in India because of the inbreeding. men are more vulnerable as male fetus is weak. These Gau Rakshaks ad their like also appear to be of the same ilk. The problem of mental illness is not only in the “fate” of India. It’s in all societies under grip of greed. In some societies, which were sold to us as “civilized” and “advanced” and “highly developed”, cases of mental ilness is more, and not only more, peculiar and complex. Just pay a look at some recent incidents in the US, which were covered by the US press and which are not cited here as that would be a long list. In other similar societies also, similar cases of mental illness is found. It’s not the problems with the people or the persons involved. A look at journals on psychology will provide a picture. 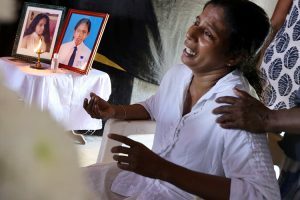 The so-called advanced societies have more peculiar cases of mental illness, which may induce a casual observer to the following conclusion: people in societies like Afghanistan, Bangladesh, Bhutan, India, Nepal, Pakistan, Sri Lanka and other similar countries are in a better state of mind. I just don’t understand it. I am clueless. … Why aren’t people starting up food banks in locations without enough food? Why aren’t people acting like Garda Ghista? High Plains Food Bank, USA Please note that if you have hungry impoverished people in your region, … in Life/Philosophy — by Sally Dugman — June 29, 2017.
in Life/Philosophy — by Sally Dugman — June 15, 2017. gharda-ghista. I had a … Wife Abuse: Breaking It Down and Breaking Out by Garda Ghista (2009-03. How can a food bank be organized in an area without enough food? To put something aside for sometime requires a surplus. Go and pray with religious leaders from all faiths, farmers, market owners. Ask them for donations of money and/or food. … Have food drives for each family that can do so to donate one can of food. Our Girl Scouts, US postal workers, Boy Scouts and other groups routinely ask for these small donations. … The amount gets huge when each family that can gives one small item. I fully agree with you, KSB. It’s a possibility. In areas within society, alcoholism is planted, instigated, encouraged in well-planned and well-organized way. Shankar Guha Niyogi took a bold initiative to fight out alcoholism planted and encouraged by capital among laborers in Chhatishgar. He defeated that enemy — alcoholism. Later, SGN was murdered. I agree: alcoholism is used by, as you write, “rulers, in their quest of generating revenue.” This happens with commodities in capitalist economy. But profit is not only case in case of alcoholism. I like to add: In cases and in areas, it’s also used by capital to keep labor subdued, to keep labor chained. In this case, it’s more a chaining, or management, tool than making profit as in cases, capital provides “subsidy” to alcohol sold to labor although this “subsidy” comes back to capital through another trick of capital. Use of this tool — alcoholism — by a section of tea planters to chain tea estate laborers is mentioned even in mainstream literature, even by a number of planters. Along with this tool, the planters used another tool; and that has also been mentioned by those planters. Here, I’m not mentioning the second tool. Those planters used a coinage to express the tact. The tact was a coolie — tea plantation laborers were thus named by the plantation shahibs — management-mantra of the planters. Because of these aspects I made the comment above so that no simplified conclusion is drawn as simplified conclusions mostly create confusions among citizens as is found in two recent cases, one of which is the Trump-issue. A group of neo-“anti”-Trumpites are very vocal now as if Trump is the sole imperialism and there was and there is none, as if imperialism is not a system, as if it’s a person, as if people had no problem named imperialism before the emergence of Trump. This chorus of the neo-“anti”-Trumpites hide their agenda — a deep, dark, backward, secterian, supremacist idea, and serve the die-hard interventionist faction. This trend is found in a part of the MSM posing as humanitarian and progressive, and in a part of alternative media that confuses a factional publicity with anti-imperialist stand. In case of that part of the alternative media, this role is shameful hundred years after labor achieved historic victory as to achieve the victory, labor had to educate itself politically, which enabled labor to identify and reject such silly tacts.